Ischnura hastata (Citrine Forktail) ♂. Size: approx. 25 mm. Photo: 04/21/12, 7 pm. Males of Ischnura hastata have mostly yellow abdomen with some black markings. The tip of the abdomen is entirely yellow. 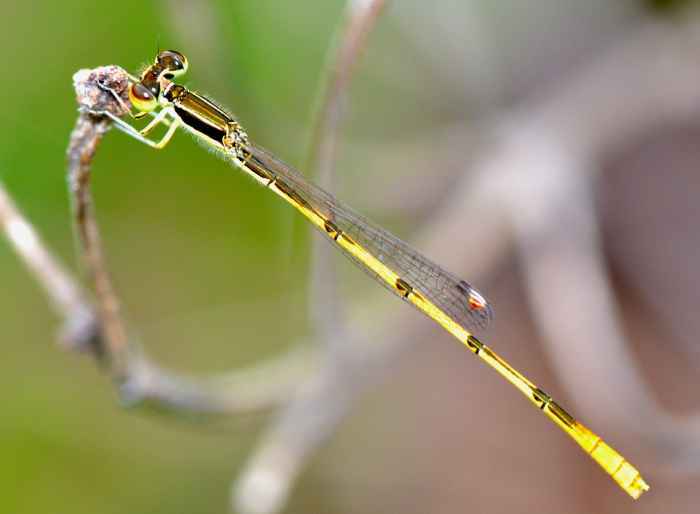 It has a striking stigma that distinguishes it from all other damselflies. 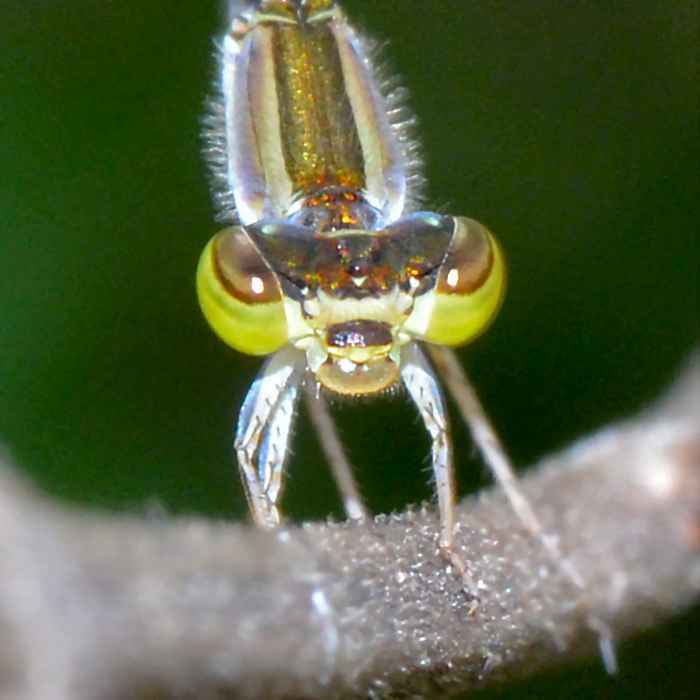 The Citrine Forktail is also among the very smallest damselfly species in the US. Females are darker orange or olive. Ischnura hastata (Citrine Forktail) ♀. 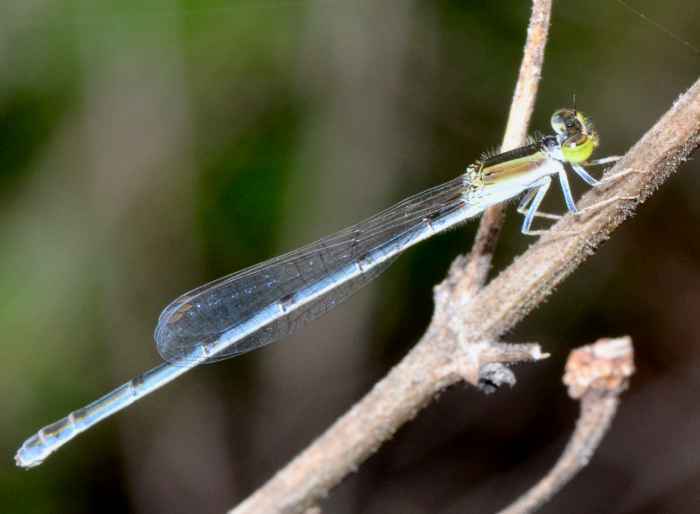 And here is the olive, blue female of the Citrine Forktail Ischnura hastata. When I took this photo, there were several blueish and yellow mini-damselflies in an area measuring a few feet. Ischnura posita (Fragile Forktail) ♀. Size: approx. 20 mm. Photo: 06/15/14, 7 pm. Fragile Forktails are quite common and can be identified by their "exclamation marks" on the thorax. Males have green marks, females usually have blue ones. Older females are dark pruinose blue and tenerals are soft brown. 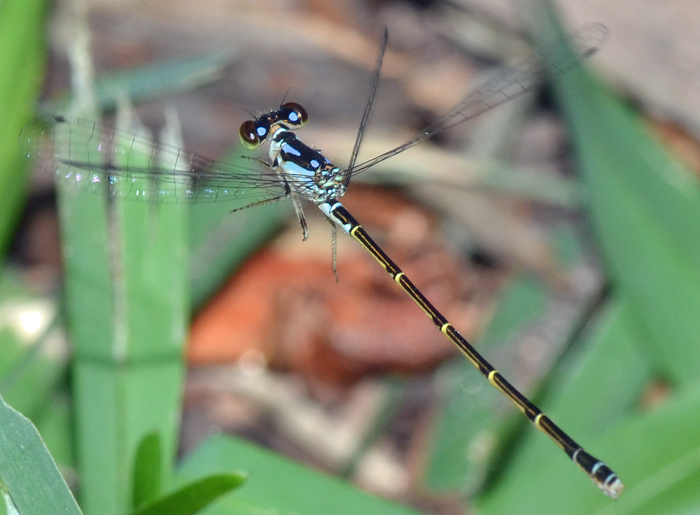 These small damselflies prefer the shade near the water's edge and the protection of grasses and other plants.